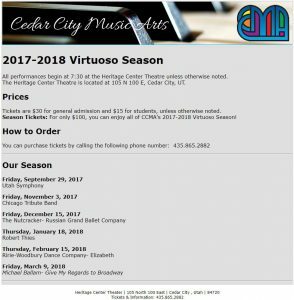 Cedar City Music Arts has announced their Virtuoso Season 2017-2018! All performances begin at 7:30 pm in the Heritage Center Theater unless otherwise noted. The Heritage Center is located at 105 N 100 E in Cedar City, Utah. Ticket prices are $30 for general admission, $15 for students. Season tickets are $100. 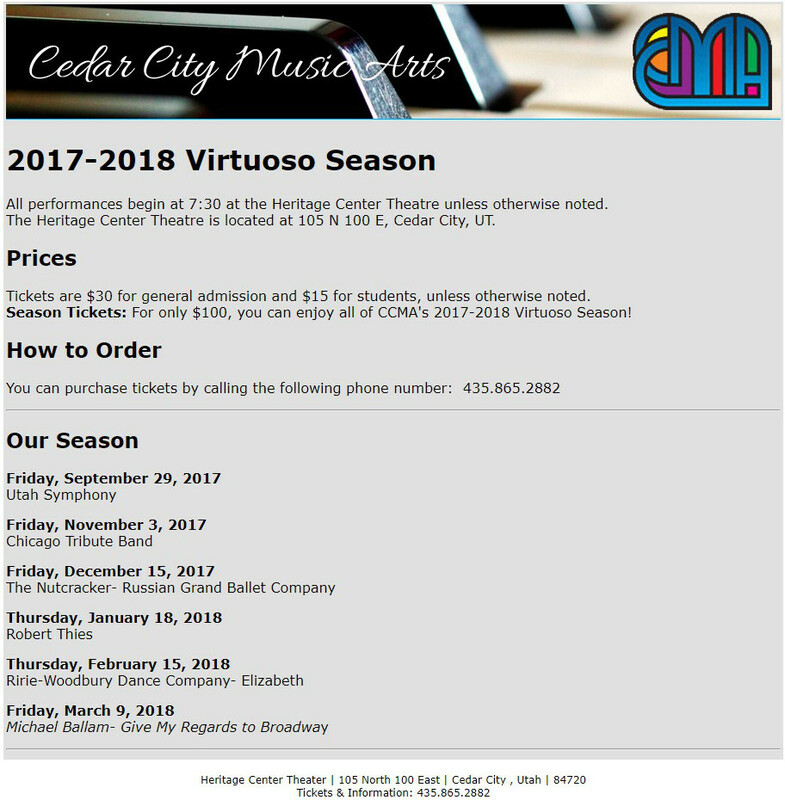 Performances includes the Utah Symphony, Chicago Tribute Band, The Nutcracker, Robert Thies, Ririe-Woodbury Dance Company and Michael Ballam.